Here at Breakthrough M2, our goal is to lead people out of the woods and into the clearing. Then, they can focus on what is most important, level up, and attain their Alula Wings! This weight loss program gives people a “clean slate.” It helps them develop new habits, new choices, it helps them see that they have existing Super Powers they didn’t know they had, and for some, they develop new and improved Super Powers. 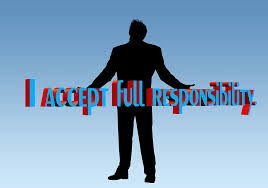 How many times have you said, “The responsibility was all on me.”? What does this mean to people when they say it or when someone hears it? To me, and for most, it means taking the blame. “I’m to blame.” But does this really mean that the person has taken responsibility? 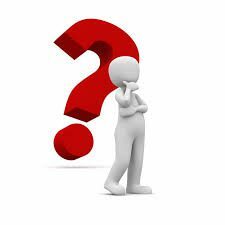 The dictionary definition does include blame, but look what else it says: the opportunity or ability to act independently and make decisions without authorization; the state or fact of being accountable; the state or fact of having a duty to deal with something. These are great definitions, so how can we look at this differently? 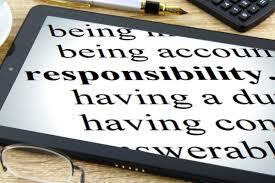 My AHA moment came when I realized that I have always looked at taking responsibility as taking the blame, and by doing this, guilt and shame came along for the ride. I also realized that this perspective masked the lesson I could have learned from the situation and essentially, I never changed the behavior. Let’s look at this definition: responsibility means Response – Ability or “now that I know, I am able to respond differently.” Responding in this way is non-judgmental, does not come with guilt or shame, and it does not mean throwing myself under the bus. Can you adopt that definition? Just like I did, it’s time for you to take action. If you think adopting Response Ability as a mindset is worthy of pursuing, it is going to take time and effort. Human training by parents, society, religion… has been set in our brains for decades, so let’s start chiselling away at this belief system and carve out a new one. 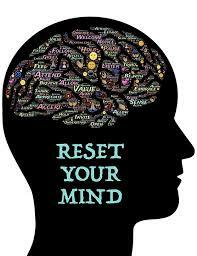 Continually reminding yourself to think in a new direction will help you change the future. Thoughts are energy and if you change your thoughts, you change the energy you send out which will change the incoming reactions. Remember, what you plant you will reap. Use these affirmations daily once in the morning and once at night. If you start remembering to say them during the day, you will really begin to see a change in your attitude about yourself and what you are putting out and receiving! I quickly pivot in a positive direction. I am able to respond without being reactionary. I am able to respond to a problem without guilt and shame. I am worthy of positive change. I make positive changes that affect my future outcome.